A new comedy hit the movie theaters in Germany last week that depicts a true story from Communist East Germany in the 1960s. Sushi in Suhl is the story of the only Japanese restaurant in the German Democratic Republic. Despite being so far away from its source, the lack of knowledge and the proper ingredients, the Japanese restaurant in the small town of Suhl, Thuringia, became so popular in the isolated Communist country that there was a waiting list for two years. Also last week Cuba´s Communist leaders announced that they will lift restrictions to travel abroad, so that for the first time in 51 years Cubans will be able to travel freely. As cynical as this may sound, but restrictions can spur creativity. To this day the things people came up with in Communist countries continue to impress and surprise me. Because people were not allowed to travel, the world was not like a supermarket to them. If they wanted something, they had to make their own versions. And as limited or pale those versions seemed, those versions often became the only point of reference. So in the same way that the restaurant in Suhl was East Germany´s only Japanese restaurant, Dieter Resch was East Germany´s only trick guitar player: their own Communist Les Paul. Like his Czechoslovak counterpart Miroslav Kefurt, Resch´s use of overdubbing and multitrack recording, was unique behind the iron curtain. 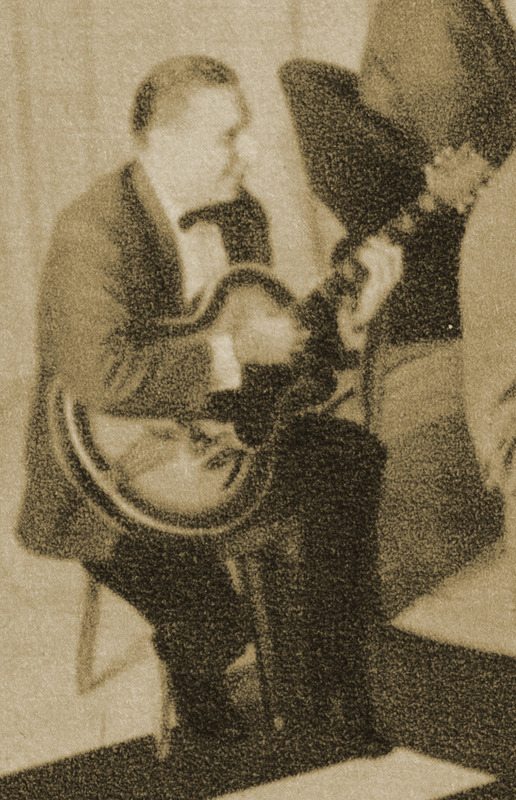 Most East Germans had never heard about Les Paul but they knew who Dieter Resch was. 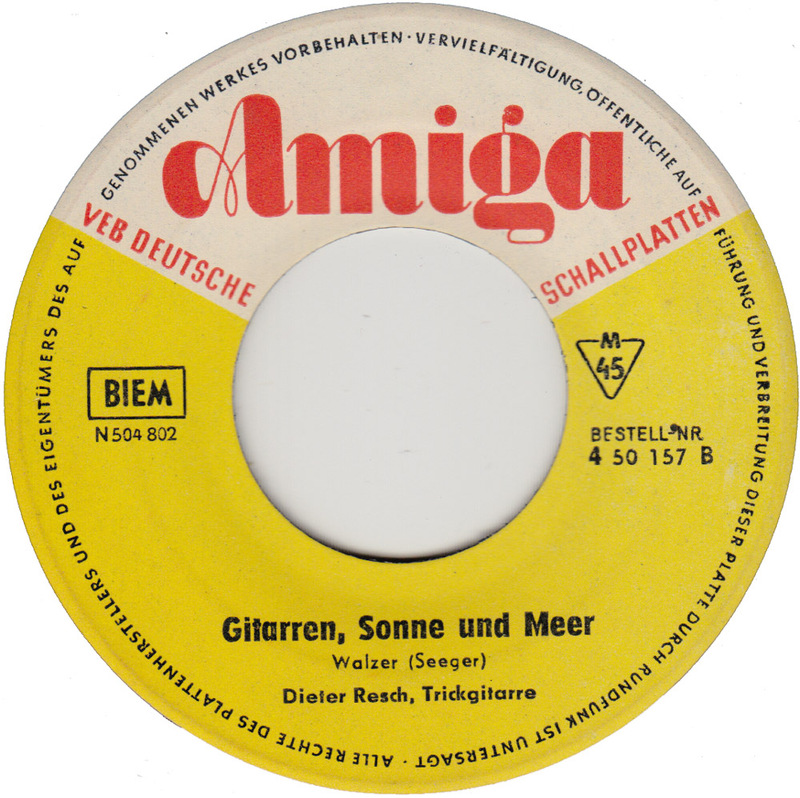 In the 1950s and early 60s Dieter Resch was also one of the few East German artists who managed to record something that resembled rock´n´roll. The Communist rulers banned rock´n´roll because they considered it to be pure western decadence that was corrupting the youth. 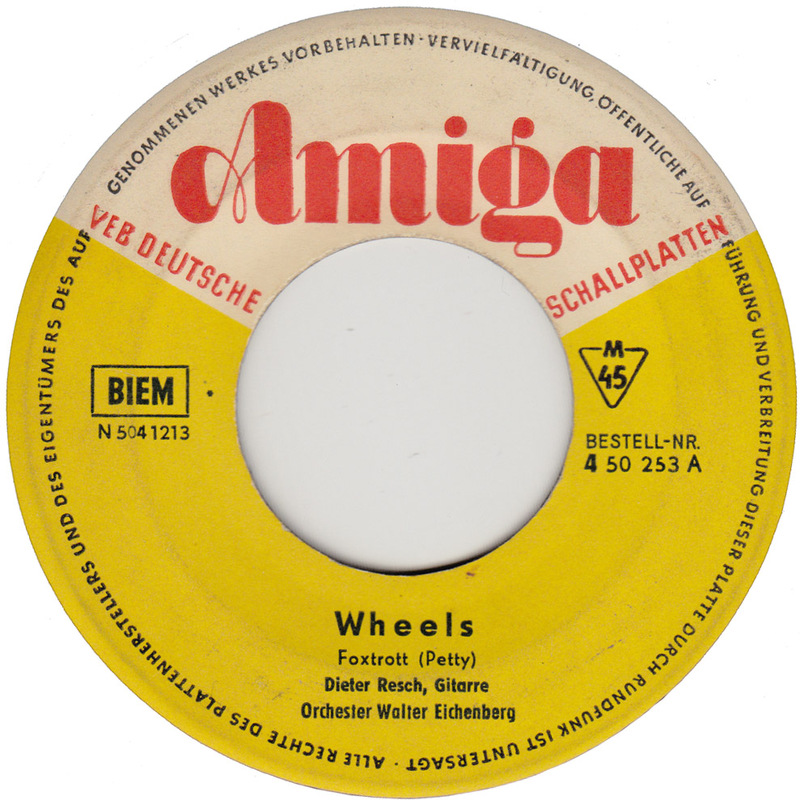 Apparently Dieter Resch´s biggest “hit” was a cover version of the String-a-Longs Wheels. But that´s only my guess, because that´s the record I still see most often in stores. Actually there were no hit parades and no gold records in East Germany. Sales figures did not matter in the Communist system where a monopolistic state-owned record label did not have to compete with other record labels. Information about Dieter Resch´s life and career is mostly in the dark. 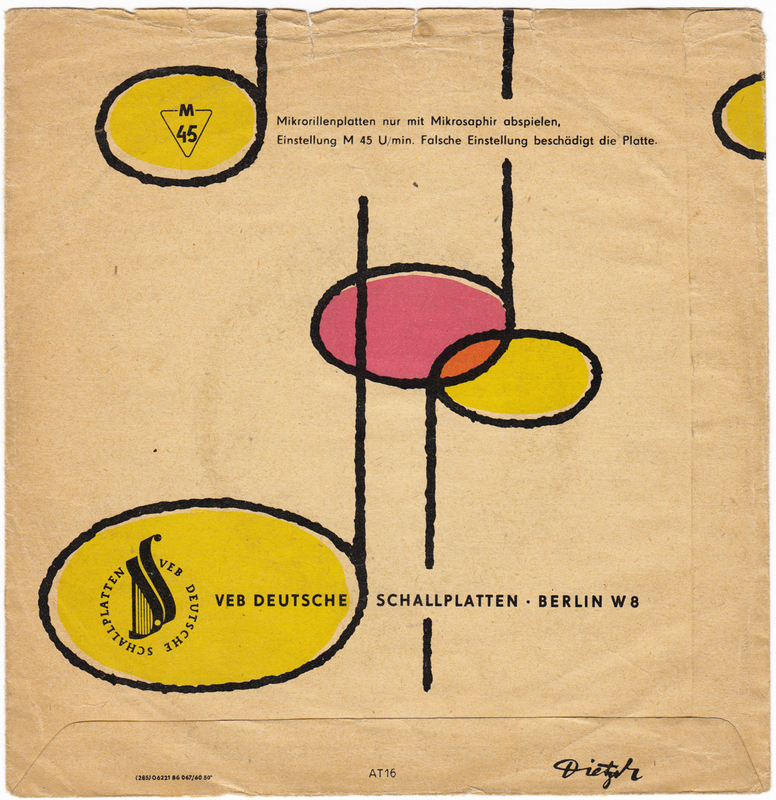 In the 40s, before they became famous German jazz musicians, Rolf Kühn, Jutta Hipp, Walter Eichenberg, Fips Fleischer and Dieter Resch all belonged to the same Hot Club Leipzig. In the 50s and 60s Resch was part of Kurt Henkels´ and later Walter Eichenberg´s Tanzorchester Leipzig. In the 70s he taught guitar at the Felix Mendelssohn Batholdy conservatory in Leipzig. 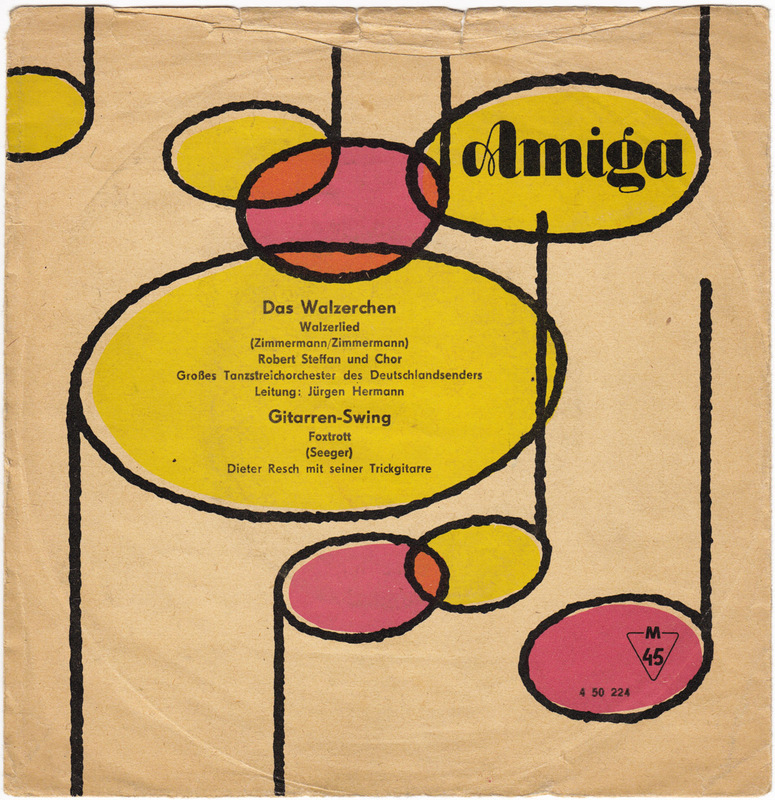 In spite of his singular position, Resch´s solo output for the state-run Communist record label Amiga remained small. His instrumentals only appeared on about a dozen B-Sides. Today his 45s can still easily be found on Ebay, but there is no Dieter Resch on Wikipedia, no retrospective reissues, no photos, no biography, no nothing. Even the conservatory in Leipzig seems to have forgotten about him. 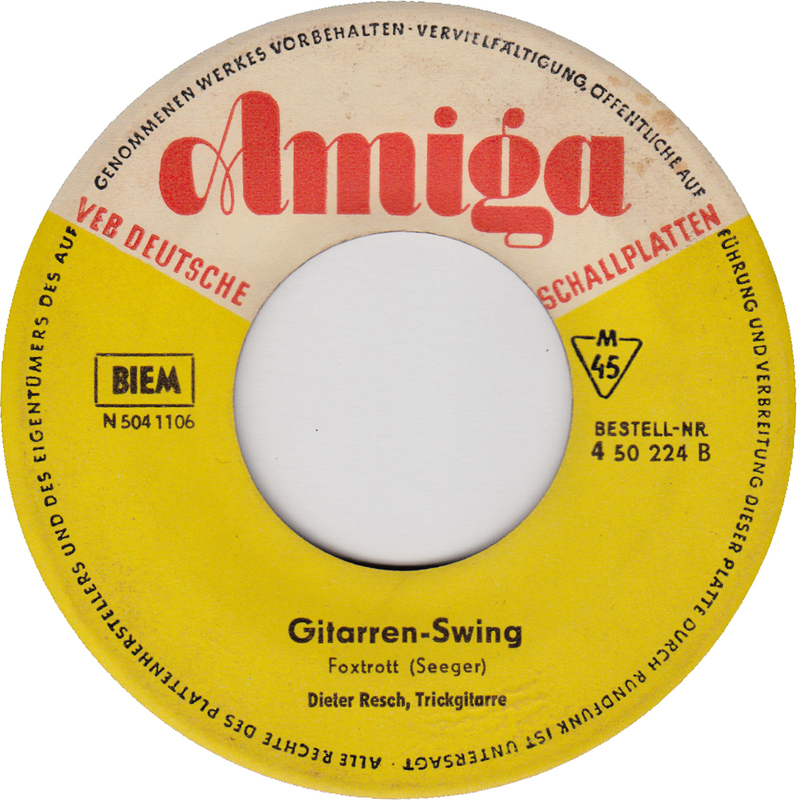 Guitarren-Swing was written by East German Jazz pianist Harry Seeger, who also wrote Grandezza for Miroslav Kefurt. 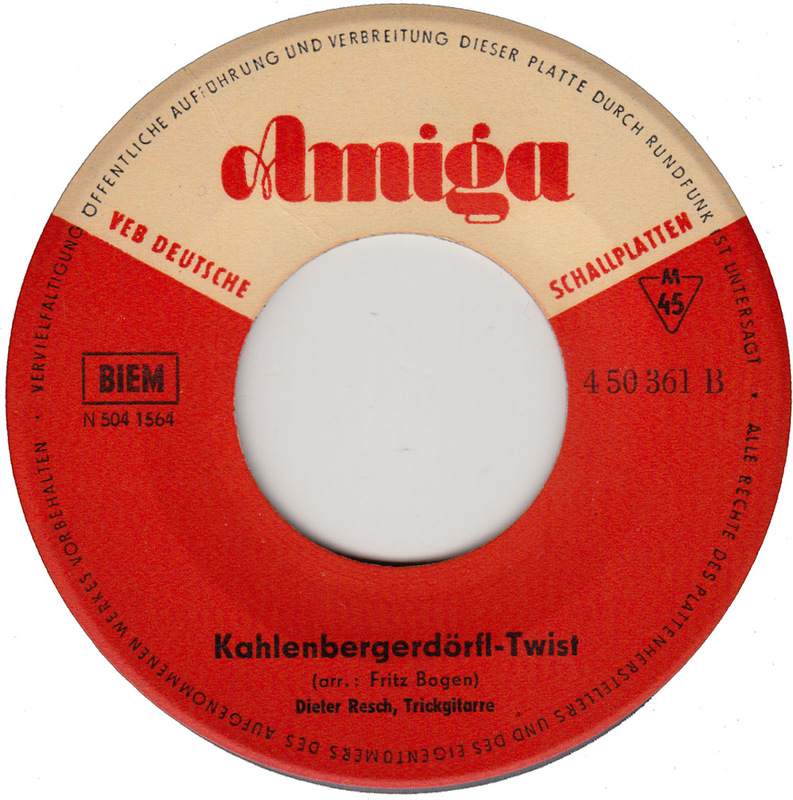 Only a few of his songs have been reissued, thrown in randomly with some compilations, sadly repeating Dieter Resch´s fate as a B-Side artist. I dont think it does his work justice. Whoever is sitting on Dieter Resch´s material – this guy deserves a full reissue! K�nnt Ihr meine Songs �siehe youtube � Dieter Kersten vermarkten.